It’s been an interesting season for young Aston Villa winger Andre Green. He started the campaign of 2018/19 more than in the first team mix, making five appearances for former manager Steve Bruce across August, but as we stockpiled wingers, the decision was taken to send him out on loan to League One side Portsmouth so he could hopefully get a good run of game time to bring his development on further. Some fans disagreed with this, others like me, thought it was semi-sensible given his luck with injuries and better than being sat on the bench. He got two games under his belt for Pompey before a long-standing issue showed up and the decision was taken to send him for surgery. Making his return in November, he hit the ground running as an impact substitute and scored in four successive games as he built his fitness back up, and with five goals in 12 matches (six starts) head coach Dean Smith made the decision to bring him back in January and he got a 30 minute runout in the 2-2 draw with Hull. 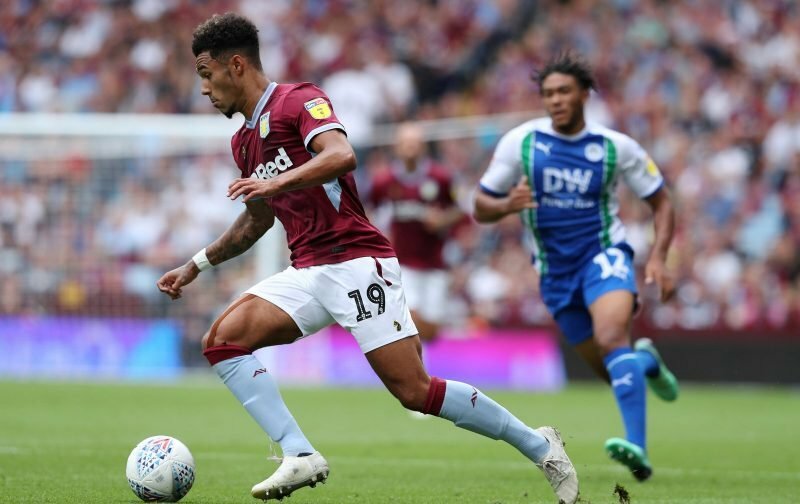 Now he’s back, Green has spoken of his desire to become one of those Villa players that goes into the ‘icon’ bracket at Villa Park and he’s determined to seize this opportunity to really establish himself with us. His full interview (nine minutes) can be watched by clicking here. Green has the raw potential to do just that but ultimately, it’s over to him. There’s a number of fans who feel he could just make it and Green himself will take confidence from Smith’s words about him when he explained the recall. Hope you get more game time now that bolasie has gone back to Everton, need a win Saturday utv ???????????? Good to hear Andre. As for the fans just give him time it’s not gonna happen just overnight. You’ve got the backing Andre ???????? Agreed, the player needs time to move to the next level. ??????? ?